Green liquor is the dissolved concentration of sodium sulfide, sodium carbonate, and other compounds from the recovery boiler in the paper making process. Electron Machine Corporation has been actively refining the use of refractometers for measuring green liquor density for over 30 years. Our incremental efforts in this application has led to the current system of using the MPR E-Scan refractometer combined with heated high-pressure water for cleaning. The resulting combination provides an effective removal of optical coatings by reducing thermal changes. 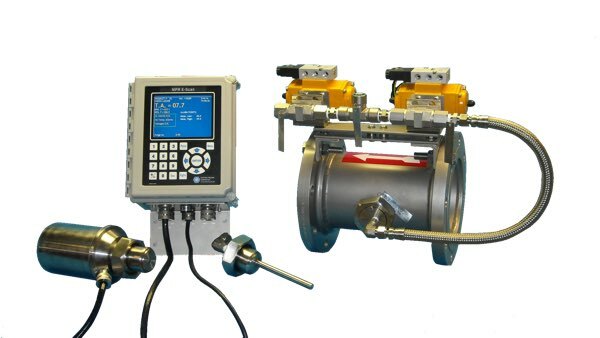 Minimizing maintenance to allow for a reliable measurement source for on-line automatic control. 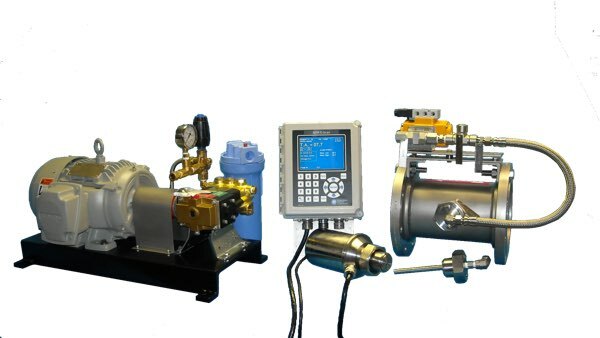 The rugged and reliable MPR EScan is used to measure the green liquor dissolved density, or TTA, at two stages in the process: after the green liquor dissolving tank and after the green liquor clarifier. 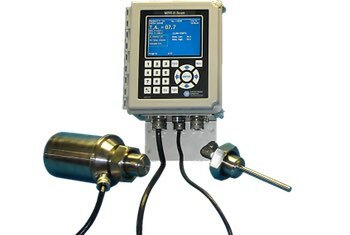 The in-line measurement, with the refractometer sensing head installed directly in the main process lines, allows real-time control of green liquor dilution to meet target TTA set-points. The measurement is also used to indicate (and prevent) excessive green liquor density and the resulting dangerous impending crystallization within the dissolving tank. Cleaning nozzles - Removable nozzles reduce maintenance. High pressure solenoids - Ensure heated water is used to clean the optical components. Rated 3500psi. Adapter - Various pipeline sizes and F/F dimensions. Cost effective - No secondary pump to install and maintain. 5HP Motor & Pump - Mounted on skid, capable of 2000psi w/adjustable regulator.